Long before people were “going green” and toting reusable bags, the Progressive generation of the early 1900s was calling for the conservation of resources, sustainable foresting practices, and restrictions on hunting. Industrial commodities such as wood, water, soil, coal, and oil, as well as improvements in human health and the protection of “nature” in an aesthetic sense, were collectively seen for the first time as central to the country’s economic well-being, moral integrity, and international power. One of the key drivers in the rise of the conservation movement was Theodore Roosevelt, who, even as he slaughtered animals as a hunter, fought to protect the country’s natural resources. 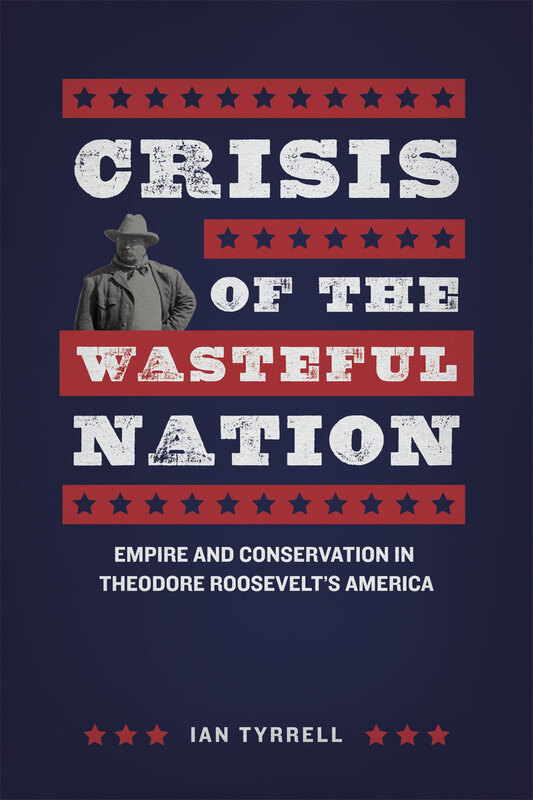 In Crisis of the Wasteful Nation, Ian Tyrrell gives us a cohesive picture of Roosevelt’s engagement with the natural world along with a compelling portrait of how Americans used, wasted, and worried about natural resources in a time of burgeoning empire. Countering traditional narratives that cast conservation as a purely domestic issue, Tyrrell shows that the movement had global significance, playing a key role in domestic security and in defining American interests around the world. Tyrrell goes beyond Roosevelt to encompass other conservation advocates and policy makers, particularly those engaged with shaping the nation’s economic and social policies—policies built on an understanding of the importance of crucial natural resources. Crisis of the Wasteful Nation is a sweeping transnational work that blends environmental, economic, and imperial history into a cohesive tale of America’s fraught relationships with raw materials, other countries, and the animal kingdom.